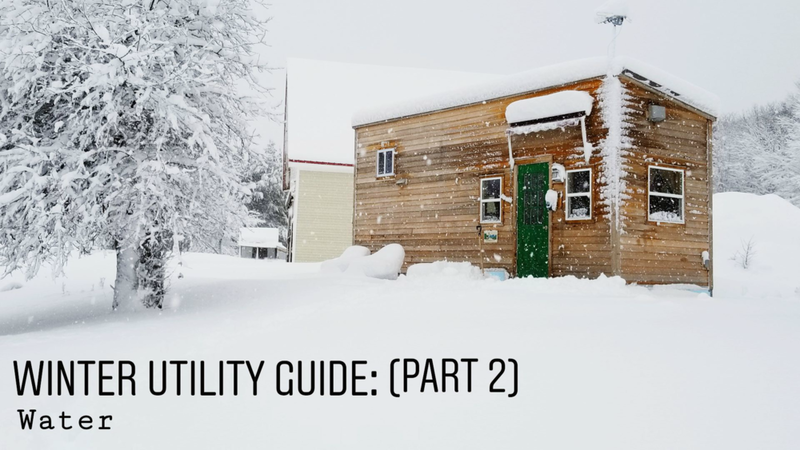 Sourcing and managing water utilities, especially in the winter, is a topic that comes up frequently with prospective tiny house owners. You not only have to worry about fresh water intake but also about separating your gray water from your black water and disposing of both legally and keeping it all from freezing! Frustratingly, this isn’t always straightforward. 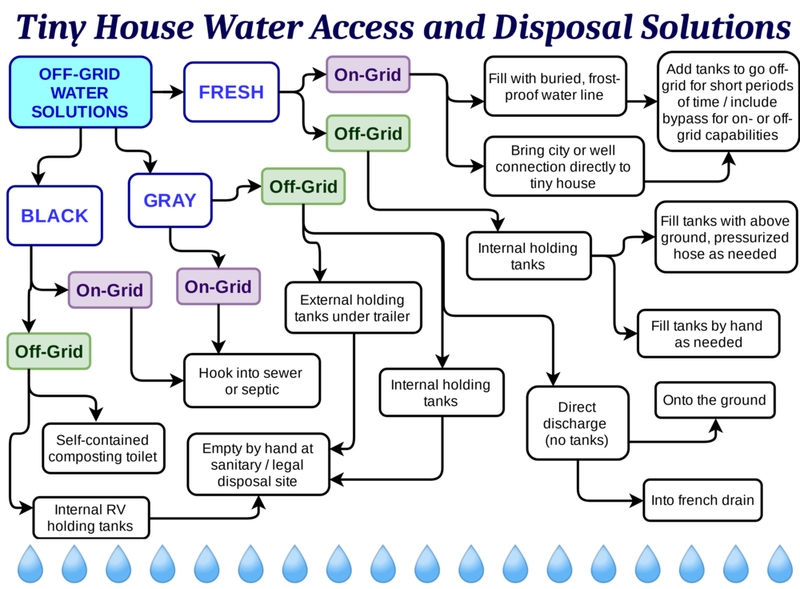 Building and designing your house with off-grid water utilities will be unavoidably more expensive than without. Where you will park your house will dictate how to design your water utilities. The best way to figure out your water needs is to start by figuring out where you will be parking your house. Read the Tiny House Parking Guide for inspiration! See more table and charts in the ebook! The water system in your house starts with fresh water intake. If you are lucky, your water supply will be potable, but if it isn’t, you will need to address your fresh drinking water concerns as well. A drinking water cooler or water filter are two possible solutions. Attaching a pressurized fresh water RV or garden hose to your house is very simple in the summer but can become complicated in the winter. Any uncovered water line to your house will freeze. Make sure your water supply line is buried below the frost line, at least 4’ down or possibly more. It is best if you can have the water supply line come up underneath the trailer, so the vulnerable portions above ground can be protected by your tiny house’s skirting insulation (see Part 1 for more info). Electrified tape or an under trailer heating system may be necessary to protect vulnerable systems in harsher locations, as is discussed in the gray water section below. Some tiny houses may be parked in locations that do not have access to a fresh water line. If this is the case, you must have tanks inside your house. To fill them, you may be able to hook up a hose when necessary or you will have to port your water in by hand. A fresh water pump system (how the water gets from your water tank to your water heater) will require an electric pump and possibly a pressure tank to maintain adequate pressure to your water heater and plumbing fixtures. If your power goes out, so will access to your water. Depending on the size of your fresh water tank and the amount of water you need daily, your tanks may need to be filled 2x per week or more (way more if you have a washer/dryer or flushing toilet), so it is handy if your fresh water source is nearby. In the winter, one of our clients uses 5-gallon water jugs and fills them up at local stores or other locations. How big you need your fresh water tank to be will vary based on personal water usage and what appliances you have drawing water. Supplying clothes washing machines or dishwashers may prove difficult if you have to fill up the tanks by hand before each cycle. Part of going tiny is about simplifying your resources consumption, so hopefully your personal water consumption will reflect these values. Remember to design enough room in your layout for your water tank and pump system and make sure that it is placed in an easy to access location so filling it isn’t a pain. Read John’s Whole Interview Here! Keep in mind that, like John, you will not only have to make space for the tank itself, but also for the vessels that you use to ferry water to your tanks. Fresh water tanks and pump systems do not have to be inside your house. If you are able to park in a permanent location where you can improve the land and have the budget for outbuildings, a separate, insulated (and possibly heated) shed for water tanks, pumps, and pressure tanks may be appropriate for you. As long as your water lines are safe from freezing, this may be a great way to free up space within your home and still have a simple way to store fresh water. TIP: you do not need to install plumbing in your home. You can port in fresh drinking water and bathe sparingly using water heated on a stove, solar shower devices, or by showering in an alternate location (like a gym or family member’s house). This is a much more rustic experience and definitely not for everyone. How much fresh water do you think you use on a daily basis? You might be surprised with the total! Note that “gray water” refers to wastewater from sinks or showers, not toilets. Make sure you know how your municipality defines gray water. Some locations may lawfully require your gray water be discharged into a septic or sewer system while others may be more lenient about how you dispose of it. The easiest and most hands-off option for gray water disposal in the winter is to have access to septic or sewer. The only concern might be the vulnerable, exposed parts of the pipe coming from the ground and connecting to your trailer, so you may have to apply electrified tape or a heating system to make sure water doesn’t freeze between the house and the septic or sewer (see Part 1: Maintenance, Propane, and Electricity). If you don’t have access to sewer or septic, you have the option of storing your gray water in storage tanks under the trailer or draining it directly onto the land if it is permitted. What goes in, must come out! If you choose to store your gray water in tanks, make sure your gray water system is at least large enough to support the capacity of your fresh water system. Most gray water tanks are stored under the trailer where there is space to store as many as you need, however, you should consider storing them within your insulated building envelope whenever possible. Once your tanks are full, you will need to be able to empty them. Depending on your location, some options for this may be an RV dumping station or hiring a septic company to pump it for you. It is ideal if you have a location to dump at your site so you don’t have to transport the tanks in your car. Some tanks have handles and wheels to make this easier, but make sure that you will be able to move the largest container filled with water by hand; a full 40-gallon water tank weighs more than 300 pounds! In the winter, since the tanks are outside, they will need to be kept warm. The skirting insulation will help, but you will likely need a heating system. Tank heating mats or heat lamp systems will work, so if you need gray water tanks, consider adding an electrical outlet directly under the trailer to simplify the system. It’s important to regularly maintain the system to make sure it’s not too hot or cold and that the electrical components are operating safely. When you install your skirting insulation, make sure you can still easily access your tanks without compromising the integrity of the insulation. Gray water tanks can also be kept in the house but will take up precious floor or storage space, especially if you already have a fresh water tank and pump system. In some instances, it may be possible to use your gray water to water trees and shrubs. Make sure you are using appropriate, eco-friendly products and that it is permitted into your area to do so. Gray water, especially if it has food wastes in it, can be stinky and may attract critters and complaints from neighbors or be harmful to the ecosystem. Depending on where you are, “gray water” may mean different things; water from the kitchen sink may be classified as black water due to the presence of food scraps and oils and may be prohibited at some gray water disposal sites. However, it is unlikely that dumping gray water directly onto the ground or into wetlands will be permitted in your area without doing so on the sly. Dumping water onto the frozen earth is also a bad idea, especially if the water is discharging directly from your kitchen sink. It can create a safety hazard, be unsightly, or compromise the stability of the ground beneath your trailer. Your town or neighbors may become upset if they notice dumping, so make sure you are 100% in the clear or have addressed all the risks before committing to this kind of disposal. Feeling overwhelmed? Take a look at our ebook - we go in much greater detail! If you do not have access to septic or sewer, you will have to separate your black water, or toilet contents, from your gray water. This is easy to accomplish if you have a composting or self-contained toilet. Totally confused about on-grid vs off-grid? Check out our Off-Grid Guide! Just like in the summer, you will have to make sure you have the ability to dispose of your “humanure” and clean your toilet as well as dump your urine. How and where you can put your humanure will depend on what municipality you are parked in. Do not mix humanure with compost piles that will eventually be used on food. Keep in mind that some municipalities may ban composting toilets outright. Need to know more about humanure? The Humanure Handbook is the foremost reference on all things humanure! But what if you want a regular flushing toilet and have nowhere to discharge it? You can also store black water discharge in tanks like RVs do, but make sure your system is designed so you can easily dump it at an RV dump station. If your tiny house is settled into its parking spot, it is not likely you will be able to drive the house over to dump it, so you will probably have to do it by hand. I don’t know about you, but that just sounds gross to me. If you are supplying your flush toilet with water from fresh water tanks, the flushing will cruise through your water supply - not the most conscientious way to use the water you’ve just lugged into the house. I think it’s wise to only consider a flush toilet in your tiny house if you are sure you will have access to year round pressurized water and sewer or septic access. Truthfully, composting toilets are pretty rad!! I know they sound icky to some people, but they are a great way to conserve water and limit your resource consumption. They were practically invented to be put into a tiny house! 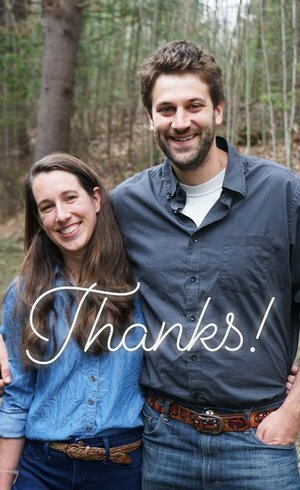 Click to read Part 3: Insulation, Humidity, and Wood Stoves!